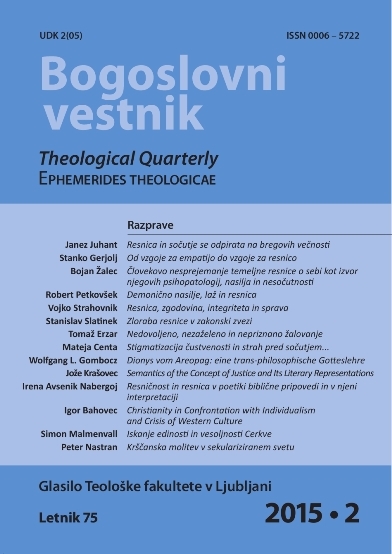 Theological Quarterly, Vol. 75 (2015), No.2. KAKO ANTROPOLOŠKO PRISTOPITI K RESNICI SLOVENSKEGA IN SVETOVNEGA HOLOKAVSTA?